How Cool is Your Creation? Picture yourself as the customer…It’s summer, you’ve been outside enjoying the day and now you are hungry for a snack. You want a healthy snack, something that will refresh you but not make you feel guilty, after all, it will be dinnertime in just a few hours. What sounds perfect? A fruit smoothie! If the customer is lucky, your establishment is nearby and they will check out your menu! Just add lemonade, base mix, frozen strawberries and ice for a refreshing smoothie! Pina Colada, Kiwi Kicker, Bananarama, Pineapple Upside Down, Summer BerryAde, Mango Madness, Beach Berry, Sunkissed Raspberry…what will it be? Sounds tempting, right? Effortless. Simply measure 2 scoops of smoothie base mix, ¾ cup fresh or frozen fruit, ¾ cup ice, ½ cup cold water and BLEND! 16fl ounces of smoothie in under 60 seconds. Profitable. 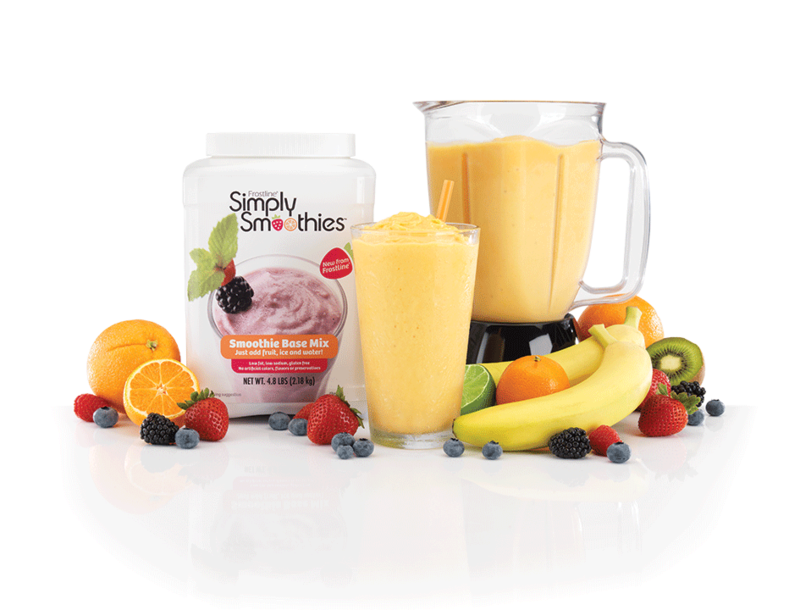 We estimate it will cost operators $1.30 to make a smoothie if using fruit with the Simply Smoothies™ base mix. 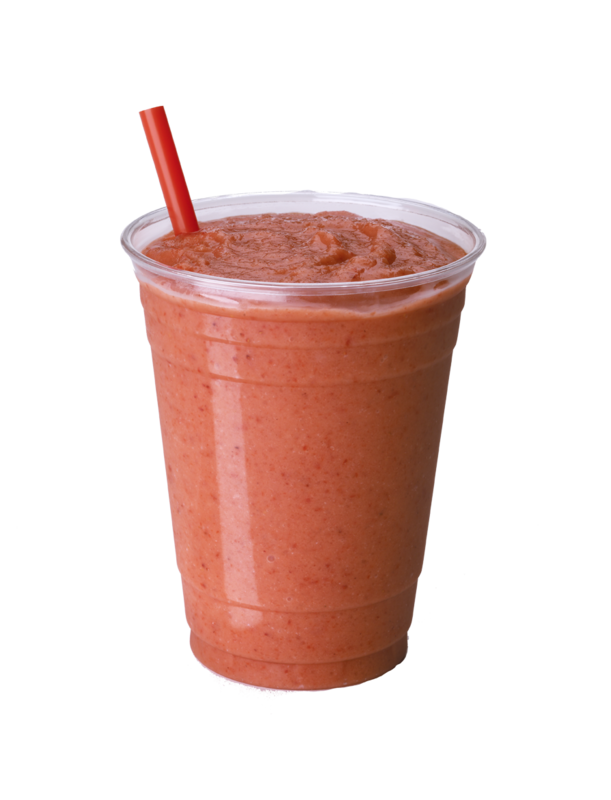 The average sales price for a smoothie is $3.99. 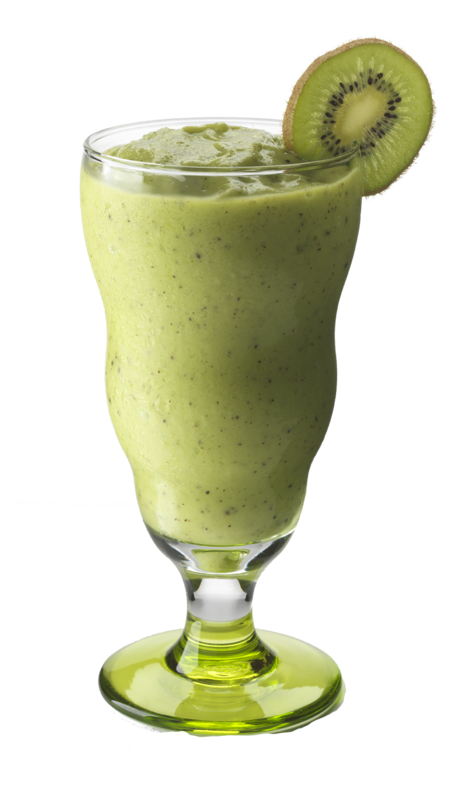 This is a gross profit of $2.69 per smoothie, translating to a yearly gross profit of over $15,000 if 16 smoothies are sold a day. Year-round demand. 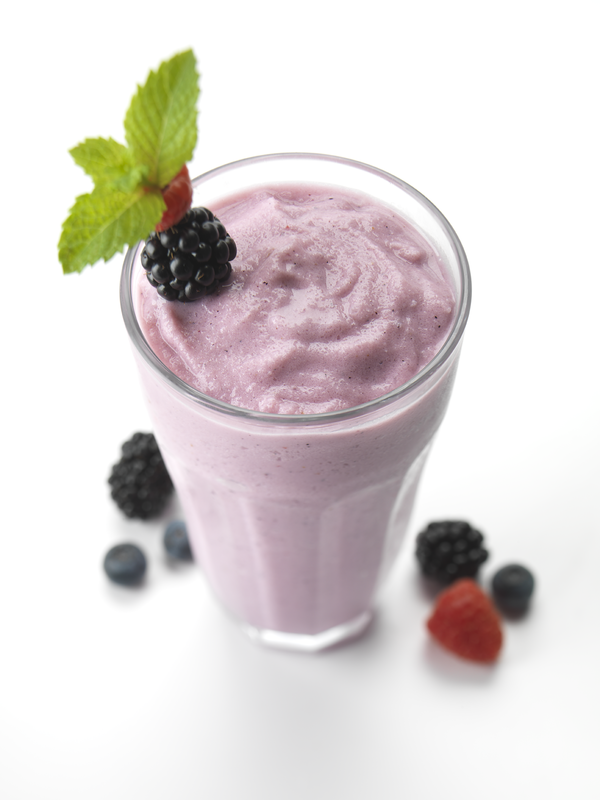 Consumers order smoothies as snacks round the clock, especially fruit smoothies! They are viewed as healthy snacks! No waste. 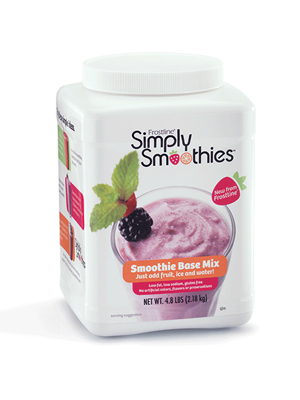 Simply Smoothies™ base mix comes in a 4.8lb canister which yields 39 smoothies. The canister is resealable and comes with a premeasured scoop. Single-serve packets are available for operators who would rather take it one smoothie at a time. Over 30 smoothie recipes to blend! Want to step outside of the single flavor box? 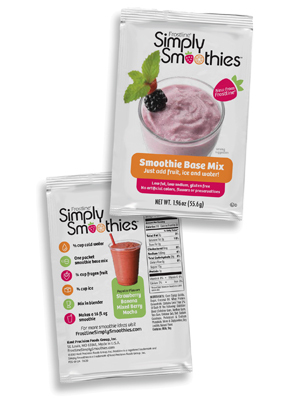 We have great flavor ideas for your beverage menu in our FREE Simply Smoothies™ Idea Book. Also, our seasonal recipe flyers allow you to just plug and play or should we say purchase, blend and serve! Our summer flyer has four delicious flavors: Watermelon Basil, Fruit Pizza, Key Lime Pie, and Raspberry Pink Lemonade. What are you waiting for? DIVE IN to SMOOTHIES! In 2014, is it still relevant to offer milkshakes on your beverage menu? That depends on your target market, current menu and business location. If you sell hamburgers, we will give you a firm answer YES! 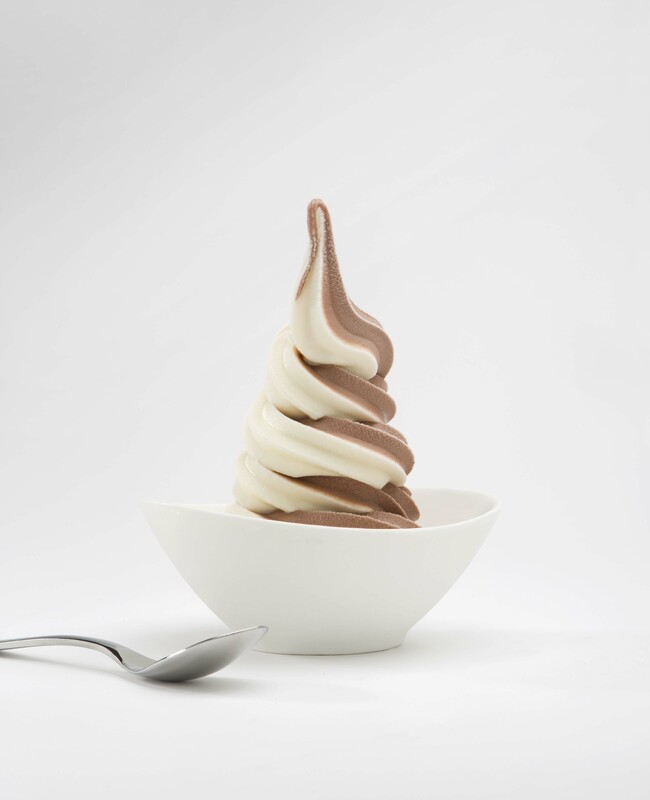 If you have a drive-thru and you currently offer soft-serve, we say YES! If your establishment draws a family crowd, we say YES! Not identifying with any of the situations we described? Consider equally profitable iced beverages or smoothies. The key to increasing sales for both milkshakes and other frozen beverages is offering a product that the consumer perceives as too difficult or not as good if prepared at home. Denny’s, coined as America’s Diner™, experienced firsthand how adding new coffee and milkshake flavors could increase the bottom line. They attributed their increase in guest check averages to their expanded beverage menu selections. First, if you already serve soft serve – milkshakes are an easy addition. According to MINTEL’s “Trends in Snacking and Value Menus in Foodservice-U.S. June 2012” , 19% of consumers typically order shakes as a snack. The most popular age group who order shakes is ages 18-24, which translates to 1/3 of the beverage market. The profitability margin is outstanding with shakes. We estimate your cost to a couple pennies per ounce for an 8 ounce serving. Each bag of shake mix yields approximately 59 milkshakes or 472 ounces. With shake mix…if you can imagine it, you can make it. Premium milkshakes attract consumers craving something outside of the traditional chocolate, strawberry and vanilla milkshake flavors. Mixing in candy, cookies, flavored syrups, fresh or frozen fruit, peanut butter, or protein powders add more variety to your milkshake menu. 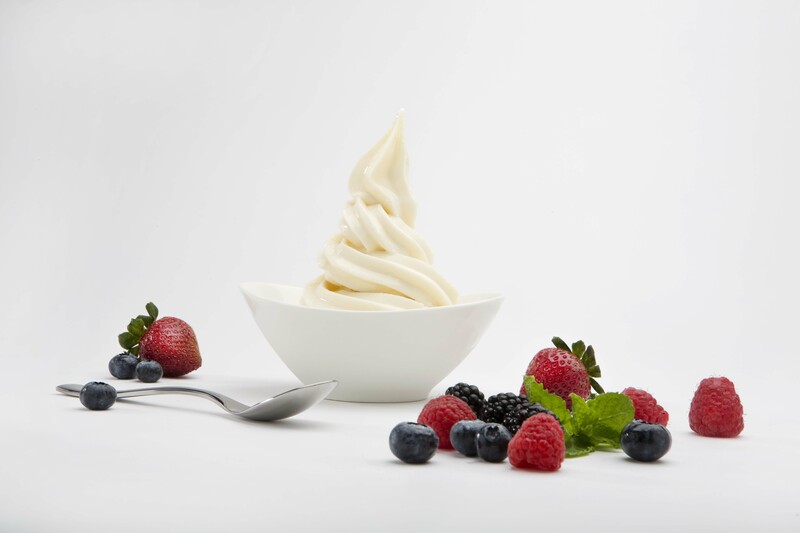 A spindle blender will marry anything with vanilla soft serve and mix it to the perfect thick and creamy consistency that milkshake lovers crave. The cost of the added ingredients ups your food costs a bit, but with a higher menu price, your profitability is still looking great. Another idea for milkshakes that is trending in foodservice is offering alcoholic shakes. According to a recent USA Today article, Red Robin is offering Wine Shakes made with wine, vodka, mango puree and vanilla soft serve. The price tag for these doubles or triples that of the non-alcoholic kind. Add whipped cream and drizzle with chocolate or caramel sauce for a craveable snack. What about the lure of coffee-flavored beverages? If your business attracts customers throughout the day looking for a filling snack, you should consider offering Iced Cappuccinos. An added bonus; people like iced coffee beverages year-round. Our dry mixes, Mocha or French Vanilla flavored, are blended with water or milk to produce a rich and creamy coffee flavored frozen treat. The only equipment you need is a good blender or a granita machine. According to Coffee Talk magazine, the average margin for a frozen beverage ranges between 65% and 70%. If you want more affirming facts on increasing sales, look no further than your nearest convenience store. According to NPD research, iced and slushy coffees have been growing by double digits for the last five years. Convenience Store Decisions reported that in 12 months, iced coffee alone grew 7% and frozen slushy sales increased by 14%. Think of the growth that McDonald’s saw when they began offering flavored iced coffees. Add a little whipped cream and drizzle with chocolate or caramel sauce and you have yourself a craveable snack. Anytime! We think adding smoothies to beverage menus is smart. Messages bombard us everyday about healthful eating, disease prevention and obesity. Smoothies, especially fruit smoothies, exude the perception of “healthy”. Frostline Simply Smoothies™ base mix is low in fat (2 grams), sodium and carbs and has zero grams of cholesterol. A trend that we don’t see diminishing is the one focused on kids eating healthier. With the new governmental regulations coming down on school lunch and the awareness of the new food guide, “My Plate”, parents are paying closer attention to what their kids eat and buying healthier foods. Fruit smoothies fit that bill. Packaged Facts, a leading source in food and beverage market research, expects sales of kids’ food and beverage to grow to a $30 billion by 2018. Frostline Simply Smoothies™ base mix is low in fat (2 grams), sodium and carbs and has zero grams of cholesterol. Regardless of how you choose to expand your beverage menu, we encourage you to do just that…EXPAND! A little extra goes along way when grabbing the attention of new customers or retaining old ones. In this world of hustle and bustle, fast casual and convenience, chill customers out with refreshing, cold beverages.